See the Mayan ruins of Tikal, located in Guatemalan rain-forest. Get as close as possible to the mysterious and advanced ancient Mayan civilization. Tikal, or Tik’al in modern Mayan orthography, is one of the largest archaeological sites and urban centers of the pre-Columbian Maya civilization. It is located in the archaeological region of the Petén Basin in what is now northern Guatemala. Situated in the department of El Petén, the site is part of the Guatemalan Tikal National Park and in 1979, it was declared a UNESCO World Heritage Site. This tour includes a 1-hour flight to the northern region of El Petén, followed by a 1-hour drive to the ruins of Tikal. 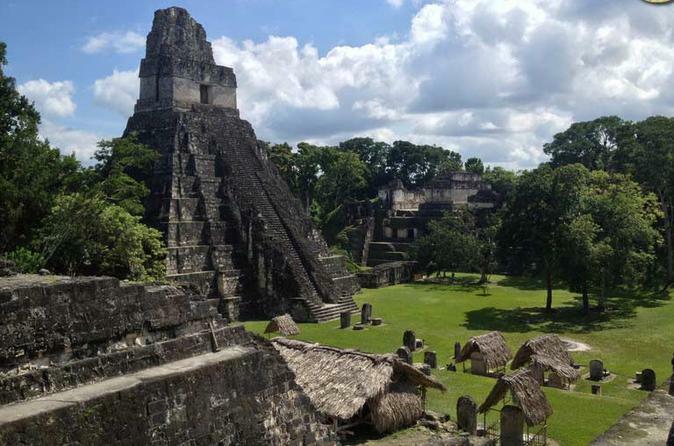 In Tikal National Park, you will have a guided hike to visit Temple IV, past temple V to the Great Plaza with pyramids, the North Acropolis, Central Acropolis and the Maya royal residential complex Mahler Palace. Lunch will be provided at Tikal National Park.